Nobody loves corn more than my family – a bold statement. I know, but one that I feel comfortable backing up every time I watch Teddy demolish a cob and ask for another. In the dog days of summer, nothing tastes better. 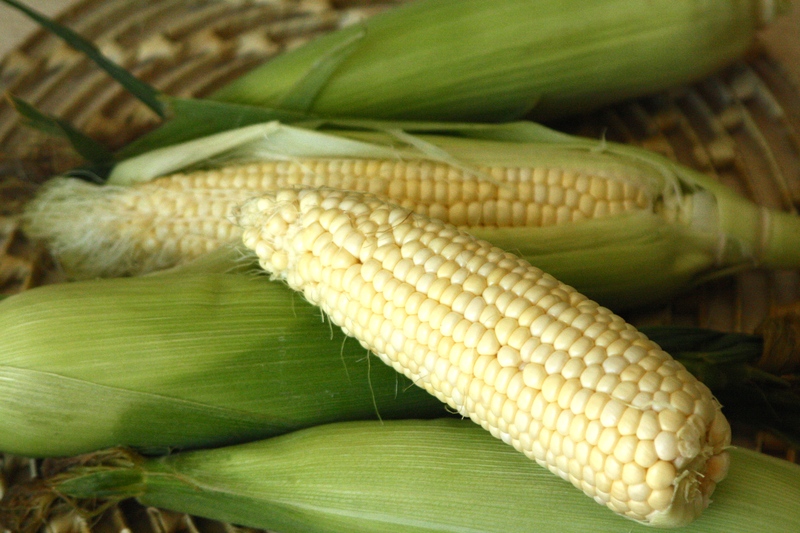 Corn is sweet, vibrant and highly seasonal: Corn is to July what cranberries are to November, an American classic that can be consumed on its own or tied deliciously into a number of recipes. For example, Corn Chowder. 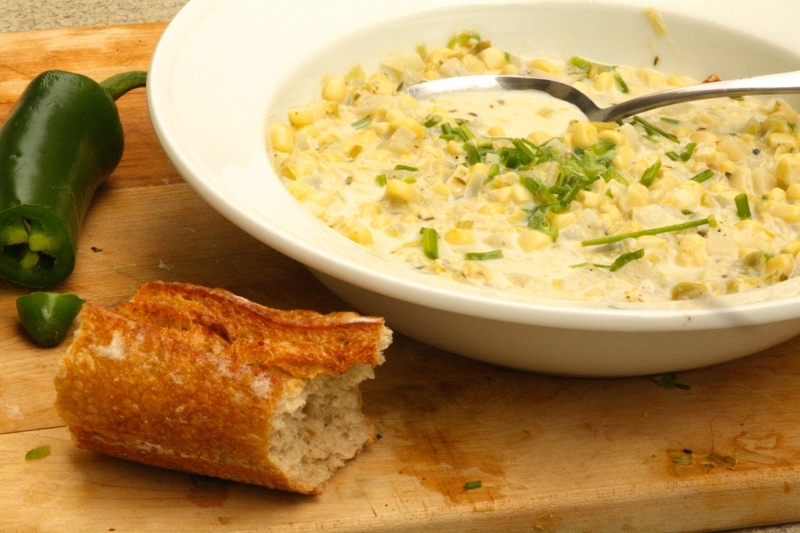 I know, it’s hot out and most cream is busy getting iced, but whip up this hearty yet light chowder once and you’ll be making it on the weekly ’til the crops run dry. What makes this recipe so special is the homemade corn stock, which takes time but makes all the difference – serve it up with biscuits and you’ll have the whole family asking for seconds. Or, if you want to turn it from weekday to wow, toss in some cooked lobster and you’re ready for guests, or even date-night. First prepare the corn stock: In a large pot on medium heat, melt the butter and cook the leeks 10 minutes or until translucent and fragrant. Remove the kernels from the corn cobs over a bowl to retain any liquid, then ‘milk’ the cob into the bowl by rubbing down the sides of cobs with the back of a knife, resulting in a some additional corn ‘milk’ – this will give wonderful flavor to your stock. Break the cobs in half, then add them to the pot along with the corn ‘milk,’ water and thyme. Cook uncovered for half an hour. Add the potatoes, salt, pepper and corn kernels and cook for an additional 15 minutes. Remove cobs and discard. Pour half & half into pot, mix, then flavor to taste with additional said and pepper. Once ladled into bowls, garnish individually with chives and Jalapeño for added punch. Devour! This recipe is wonderful. I've already made it twice, including for dinner to accompany king crab legs, and it was a hit with everyone. I add only one cup of half & half, which I think gives it the perfect consistency. I also tasted the chowder before adding half & half, and I think it could definitely be left out for a lighter version.